Zakynthos-villas.com is the only website that offers a highly effective and good value advertising service to private owners of holiday villas. All enquiries and bookings are made directly with you, the owner, so you can keep full control of your lettings and avoid paying commission to agents. We are a well established and highly regarded company with 20 years of successful advertising behind us. 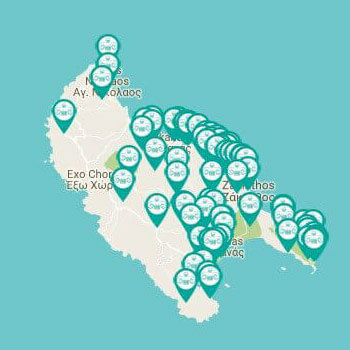 Our popular and easy to navigate website is visited by many thousands of holiday makers worldwide every day via all major search engines such as Google, Yahoo, Bing, Yandex etc in which Zakynthos-Villas.com has a prominent position. It thus offers targeted visitor clicks as well as a good page ranking in Google for your villa. It contains clear and attractive advertisements which you can update at any time. Our friendly and experienced staff is here to help you with anything you may need.